It's a tenet of living a sustainable lifestyle to choose fruits and vegetables from local growers. 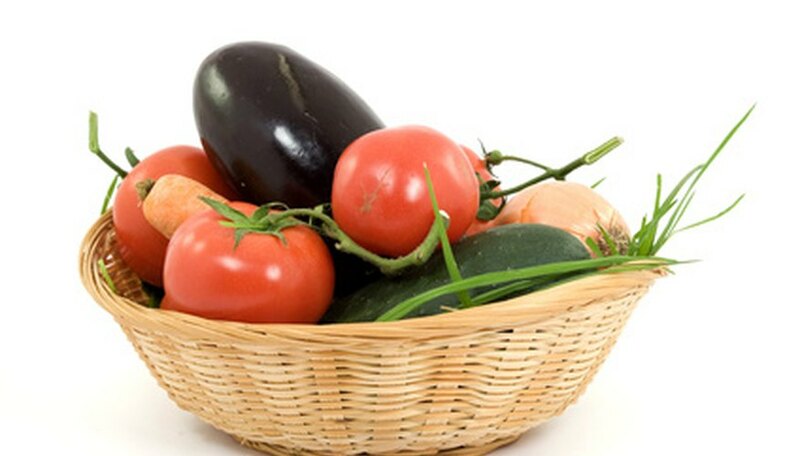 In any region, the availability of fruits and vegetables is dependent on the season. When you buy locally, you purchase vegetables that are in season, meaning those particular vegetables are grown during that particular season. Vegetables planted late in the summer and early fall to be harvested during those weeks before the ground freezes are winter vegetables. Winter vegetables may be harvested in the autumn. Winter vegetables include broccoli, brussel sprouts and leafy greens such as spinach and chard. Cabbage and cress may also be available, as are turnips, snow peas, sweet potatoes, rhubarb and rutabaga. Winter squashes such as acorn and spaghetti squash may be seen at your local farmers market during the cool fall weather. In the spring, you're likely to see more leafy greens such as lettuces and kale and turnip greens. Some root vegetables may be fresh from the ground as well, such as potatoes, fennel and onions. Some of your local farmers may also have carrots and snap beans, as well as okra. During the summer months, more vegetables are available, as the weather, with its sunny afternoons and warm evenings, allows for a wide variety of crops to flourish. Tomatoes, sweet peppers, hot peppers, summer squashes and an abundance of lettuce greens grow throughout the late spring and into the late summer months. Beets, corn, cucumbers and eggplants abound, as do radishes and pole beans and sweet peas. Regional climates influence crops. If you live in a cold, northern region, you're likely to have a short summer season and so a smaller window of availability for summer vegetables. If you live in a more temperate region with mild winters and hot springs and summers, availability of winter crops is likely to be limited. Other weather conditions also influence the availability of vegetables. Late frosts, excessive rain or drought may delay planting or destroy crops. A seasonal vegetable may be available later than in other years, or available in less quantity, which drives up the price. Your supermarket may have summer, winter and spring vegetables available year round. In most regions in the United States, iceberg lettuce isn't being harvested in January, but your supermarket may have it in the produce section. Due to the globalization of world trade practices, iceberg lettuce may be shipped from South America to North America in the middle of winter, because in South America, lettuce is in season.